Perfect for breakfast with coffee or tea, tahinopita is equally delicious for an afternoon snack or tucked in a lunchbox. Its just ever so slightly crumbly and cuts neatly into slices that make pretty plates even prettier. 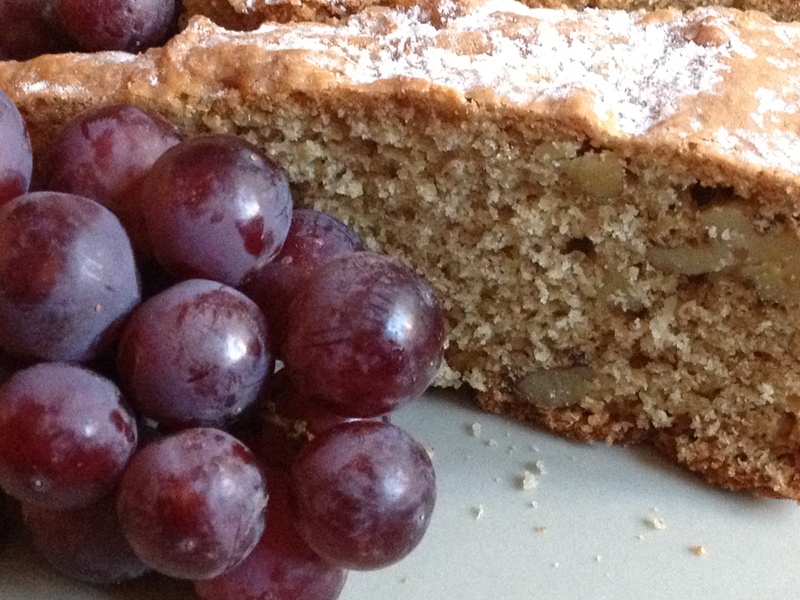 Pair with a side of red grapes or sliced fruit for a sophisticated, sweet dessert that can follow any meal. If you haven’t cooked with tahini before, you’ll be surprised at how versatile and full of flavor it is. One of the most important things to remember when cooking with tahini is to stir it well. Just like other nut butters (peanut, almond, etc), the sesame oil rises to the top of the jar. It’s very important to remember to stir tahini until all the oil is incorporated completely BEFORE measuring out the amount needed for your recipe. In this recipe, the order of cooking instructions is important to getting the best results. Begin with creaming the tahini and sugar together. 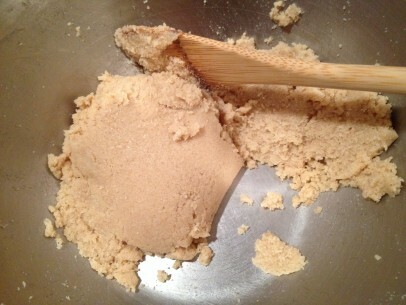 It will begin as a very crumbly mixture. Mix well for at least 5 and up to 10 minutes by hand until you get a creamy mixture that holds together pretty well. 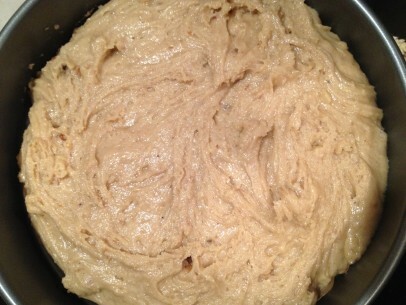 Once the tahini and sugar are creamed, add the oil and stir to combine, should take only a few strokes. At this point, add the brandy, orange juice and spices. Stir to combine and set aside. Combine flour, salt, baking powder/soda in a separate bowl. Add dry ingredients to wet and combine completely. The batter will be very thick. It’s tasty too – definitely spoon licking material! 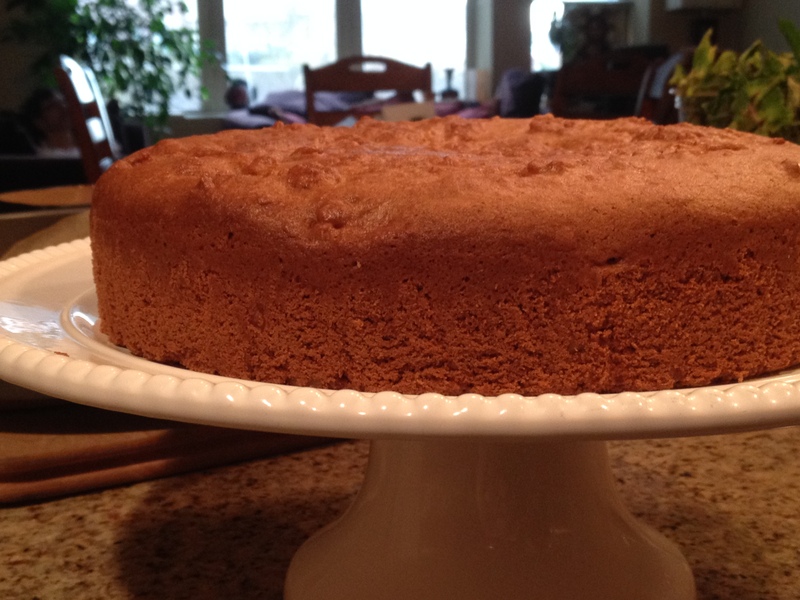 This recipe will make 1, 9″ round cake. Remember to cover the bottom of your pan with parchment paper and smooth the batter on top before baking. Tahinopita will bake up a lovely brown and should come easily and cleanly out of the pan after running a knife around the outside edge. Cool in pan for at least 30 minutes and turn out of pan to serve. 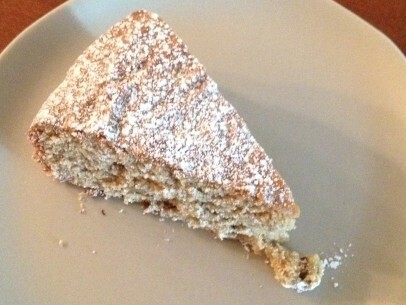 Remember to remove parchment paper from the bottom of cake before cutting. This is a wonderful cake to display on a cake platter or stand! Mix tahini in jar until oil on top is completely incorporated. Measure out tahini and add to medium bowl with sugar. Cream tahini and sugar together for at least 5 up to 10 minutes until you get a smooth paste that sticks together. Add oil and stir well to combine. Should take only a few strokes. Add brandy, orange juice and spices. Stir to combine and set aside. Combine flour, salt, baking powder/soda in a separate bowl. Add dry ingredients to wet and combine completely. The batter will be very thick. It’s tasty too, so feel free to lick the spoon or pass it to little hands to finish off! This recipe will make 1, 9″ round cake. Cover the bottom of your pan with parchment paper and smooth the batter on top before baking. Bake at 350 degrees for 40-45 minutes. Check at 40 minutes. Cake is done when toothpick comes out clean. Hi! In the above recipe, is it 1/4 tsp. ground anise seeds? Thanks! Thankyou for the recIpe. Delighted as came up quite light and heigh but disappointed by the dryness. I was also disappointed by the dryness. Would make again but bake for much less time. I knew 40 minutes sounded too long. But my husband said it reminded him of the cakes his Greek mother made growing up, so maybe it’s just supposed to be dry. How much cardamon spice does the 2 pods translate to? If I don’t have anise can I use ouzo and if so how much? I actually added like 1/8 teaspoon ouzo and I can’t say the batter seemed too runny. It was like a dough…. The final out come is crumbly; is that how it’s supposed to be? It tastes fine and is good with a coffee or tea. hi there, I stumbled upon your blog whilst researching for “vegan cakes”. I am not vegan but I had a vegan friend for supper and I wanted to bake something different (I once had a cake stall at a local farmers’ market and I had a couple of vegan cakes in mu files, but I wanted to explore new things)… so I baked this cake…It is a good cake and I actually like the crumbliness. Good flavour – rather subtle and austere. One of my guest tasted the tahini straight away, I did not. 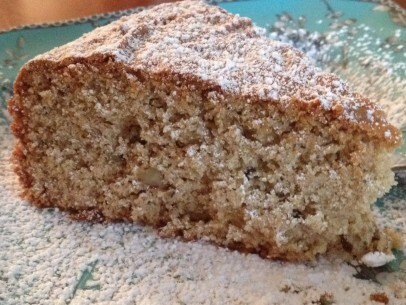 can I substitute almond meal for the flour?